Can’t Find The Appointment Time You Need? We’re thrilled that you’ve decided to make Willeri Dental your new home for a brighter, healthier smile. No matter how busy your lifestyle is we’re sure that you’ll be able to find an appointment time that’s perfect for you. Conveniently located in the Forum Medical Center, we are just across from the Stockland Riverton Shopping Center. On-site parking is available as well as public transportation through the Riverton bus stop. Don’t forget the rest of your family! 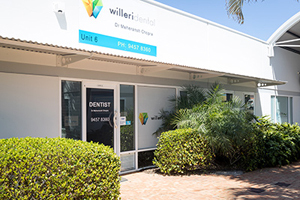 Willeri Dental provides comprehensive dental care to patients of all ages. Call us today to find a convenient appointment time for your family’s schedule.